Tiger Woods PGA Tour 11 is a golfing simulation. As with Tiger Woods PGA Tour 10, the Wii version utilizes Wii MotionPlus. 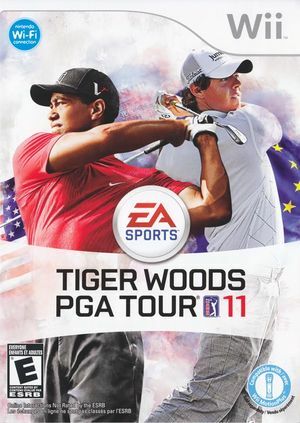 This edition of Tiger Woods PGA Tour is the first to feature someone on the cover other than Tiger himself. The privilege was given to the Northern Irish golfer Rory McIlroy, who was the first person to win a PGA Tour event before their 21st birthday since Tiger Woods. The graph below charts the compatibility with Tiger Woods PGA Tour 11 since Dolphin's 2.0 release, listing revisions only where a compatibility change occurred.